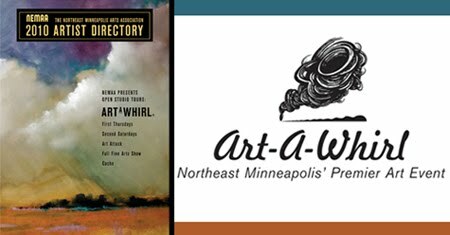 Art-A-Whirl, presented by the Northeast Minneapolis Arts Association, is the largest open studio and gallery tour in the United States. It is a highly anticipated annual event that welcomes local and regional visitors to the Arts District in Northeast Minneapolis to see the art being made in this area and to meet the artists. As visitors come to see the art over the three-day weekend they also experience the unique and welcoming community of Northeast Minneapolis. More than 500 artists participate in AAW, including potters, tile makers, painters, sculptors, musicians, photographers, glass blowers, printmakers, and textile designers. They showcase their art in warehouses, galleries, homes, storefronts and cafes.